Reliance Jio, the telecom arm of Reliance Industries, has joined hands with South Korean electronics giant Samsung to deploy a cellular internet of things (IoT) network across India. Reliance Jio said that the new service, called NB-IoT (narrowband internet of things), is already operational in Mumbai and will soon expand to other parts of the country. NB-IoT is a Low Power Wide Area Network (LPWAN) radio technology standard developed to enable a wide range of devices and services to get connected using cellular telecommunications bands. The company expects to see many consumer and enterprise use cases for the service including vehicle tracking, smart appliances, smart metering, security and surveillance. Samsung has previously provided the LTE core, base stations and solutions required for VoLTE services, as well as massive deployment services for establishing a nationwide network for Jio. “We will once again partner with Samsung to offer a suite of innovative services for all users,” said Jyotindra Thacker, President of Reliance Jio Infocomm. Jio said that the new service can not only utilise its existing spectrum, but can also be enabled by a simple software upgrade of the already installed base stations. It added that it has deployed a new dedicated cellular IoT virtualized core that will help in minimising costs in terms of hardware deployment and also enable the core to do multiple tasks at the same time such as data collection, signal processing, vision, control, and run a human–machine interface (HMI). 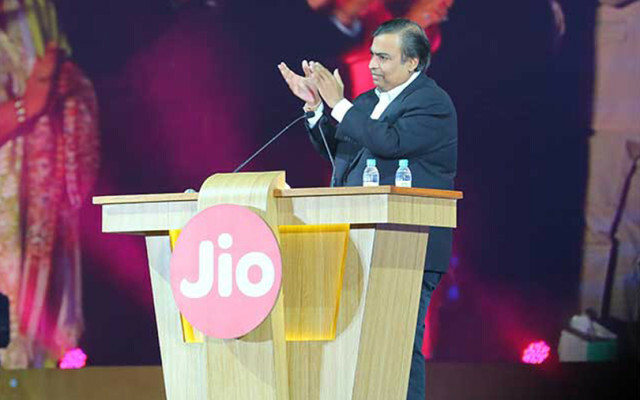 Since launching its services in September 2016, Reliance Jio has disrupted the telecom space in India with its low data and free voice calling. The latest announcement marks its foray into IoT even as recent reports have suggested the company is exploring blockchain technology. Samsung has also partnered with British telecom giant Vodafone to launch consumer-based IoT products and services in selected markets in Europe. "The 'V-Home by Vodafone' suite brings together Samsung’s 'SmartThings' open platform and the 'V by Vodafone' consumer IoT system (launched in November last year) to offer consumers simple but powerful home automation, security and safety products and services," the companies said in a statement. While Samsung's 'Smart Home’ concept brings advanced telecoms network intelligence to a wide range of consumer devices and appliances, the 'V-Home by Vodafone' suite provides immediate alerts to the customer’s smartphone in the event of a home intrusion. It also enables simple remote automation of home appliances and utilities, including voice activation via home voice assistants.